Aria della Ripa Palace is an historic residence dating back to the second half of the 19th century, now offering holiday apartment to rent. 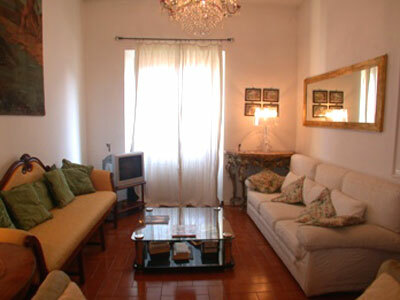 It is situated in one of the most prestigious districts of Florence, just in front of the Arno river. Only 10 minutes walk from the Duomo and the Old Bridge, 5 minutes walk from the main train station - Santa Maria Novella, and 15 minutes walk far from the Fortezza Da Basso, one the most well known locations for exhibitions held in the city. DURING NEW YEAR'S EVE, EASTER AND PITTI THERE WILL BE AN INCREASE OF 30%.